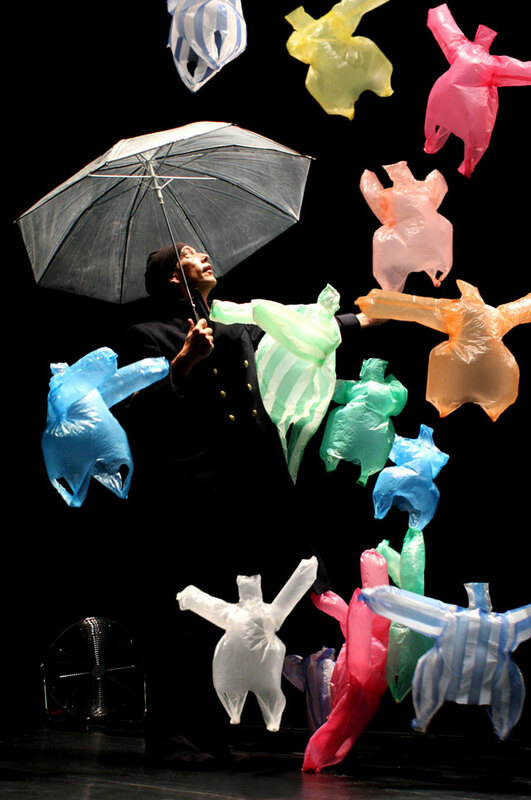 A performer dances with a lively troupe of plastic bags in the performance piece “L’Après-Midi d’un Foehn” by French performance troupe Compagnie Non Nova. The piece was created by (and is often performed by) the troupe’s founder, performance artist Phia Ménard. The airborne antics of the bags are controlled by a system of eight fans. “L’Après-Midi d’un Foehn” can be seen at the London International Mime Festival through January 11, 2014.